If you are not yet familiar with the term Social shopping, get ready to hear a lot about it. The new trend is quickly spreading around the globe, and in China, it has already become a lifestyle. China is at the moment the country with the highest rate of e-commerce shoppers and Social shopping is thought to continue increasing. There is no doubt that the Chinese are in love with online shopping. However, social shopping has taken the buying experience to a different level opening a new avenue of opportunities for online business owners. Social shopping encompasses any purchase through social platforms. The success of this formula rests on its capability to mimic the interactions common to in-store shopping. 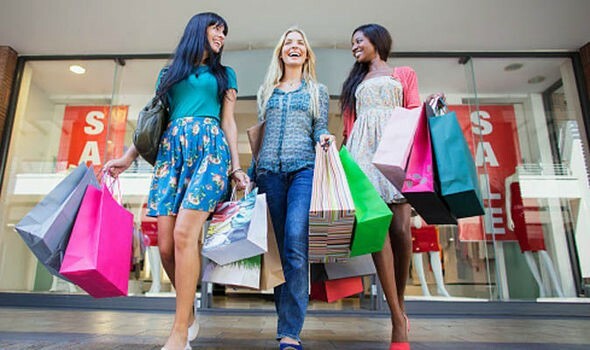 Even though shopping online is a convenient way to buy products and services, the fact that the shopper is by himself in front of a computer or mobile device saps all the fun of going from shop to shop with some good friends and share opinions and suggestion, doesn't it? Social shopping has given buyers an effective way around this problem. When buying through a social platform, the shopper can interact with his contacts, share experiences, receive product feedbacks, receive suggestions, and stay up to date with new social trends. Even though not physically present, shoppers' friends are involved in a buying process similar to what happens at a brick and mortar store. As result, the shopping experience is highly enhanced. Social Media Apps. This is probably the most appreciated channel for shopping online. Especially WeChat, which takes the lion’s share thanks to an amazing user base that recently hit 1 billion active monthly users. WeChat has developed innovative solutions perfect for social shopping, such as the WeChat Mini Programs. The users can share with their friends in real time, interact with shop owners, and finalize their purchases without living the app. WeChat is currently an inalienable channel to succeed in selling online. Communities. These are groups of like-minded people who discuss products and new trends. They share opinions and feedbacks that other members use to finalize their buying decisions or putting together a wish list. Recommendation Algorithms. This channel is similar to the communities but it is powered by artificial intelligence. Therefore, the user receives suggestions not from a community of real people but from smart programs. The programs analyze the search history of the user and give shopping hints based on the information collected. Social Marketplaces. These are large websites that offer discounts through group-sales. Even though the interaction is not comparable to other channels like social media apps, the fact of buying in groups and usually with a time and quantity limit conveys the idea of a social event. In consideration of the success that social shopping has already had in China, there are good opportunities for online sellers to leverage on this new trend. All the statistics about the e-commerce trend in China are more than encouraging. Since 2016 the volume of money spent online is skyrocketing year after year, e-commerce sales are expected to reach $1 million by 2022, according to Statista. However, there are a few factors that must be considered that foretell a huge increase in social shopping even in the near future. China holds the supremacy for purchases made with mobile phones. Statistics from Apple foretell that by 2020 purchases through mobile phones will reach 74% of the total volume. By the same year, the US will reach merely 46% which gives a better grasp of how impressive China's mobile phones purchases will be. The extensive use of mobile phones is the perfect environment for social shopping to thrive and it is only normal to expect that this channel will give a generous contribution to the overall result of e-commerce in China. Moreover, the makeup of the average Chinese shopper must be taken into consideration since it is critical for the success of social shopping. For the average Chinese buyer, shopping is a way to make a statement about social status or to impress the community. Therefore, what often prompts a purchase is not a need or a desire of the buyer but, instead, how the purchase will impact the buyer's image among his friends. That being the case, an online community where everybody can see the purchase history of a user will put even more pressure on a buyer. As communities of online shoppers keep on growing, users will be more exposed and prompted to buy more in order to not lose face with friends and onlookers. This new shopping channel is even expected to drop the average age of online shoppers. New generations are well accustomed to the use of social media and will have more opportunities to shop online expanding, therefore, the target market for e-commerce in China. Social shopping in China is a revolution that sounds like good news for online business owners. They can leverage on a younger audience, a community who will advertise products among themselves, and the need to maintain a social reputation in the community. That calls for adjustments in the way online shops offer their products. Firstly, an e-commerce website on PrestaShop for the Chinese market must be designed with this specific audience in mind. It is highly advisable to use an e-commerce agency in China who has a thorough understanding of local culture. An e-commerce developer in China knows how to organize a website, how to display products, and how to introduce these products to the local audience. Unfortunately, what works in the western world will not always bring the best results in China. Moreover, an e-commerce in China must be implemented to support social shopping. For instance, WeChat offers several solutions that can be efficiently used to create a community, engage with customers, promote products, generate incentives for customers, and many other marketing techniques. The support of an e-commerce and WeChat developer in China will prove critical in making your Chinese e-commerce social shopping ready. QPSoftware is a leading website design agency in China. Our company is based in Shanghai and therefore we are always ahead of new trends in the country. We have over 10 years of experience in designing e-commerce websites optimized for the Chinese market. Moreover, we are a top WeChat developer in China and we can design and develop the most efficient social shopping solutions for your business. Contact us today and we will help you grow your business in China. I am Jason Blondeau, Director of Sales and Marketing at QPSOFTWARE, a web design agency based in Shanghai. I have dedicated 5+ years of hard work to develop and bring the company to another level. E-commerce is part of my daily life at QPSOFTWARE and more especially in China.